Petrified Forest National Park was established in 1906 to protect one of the world’s largest and most colorful deposits of petrified wood. The fossil record contained in this 225 million-year-old geologic layer called the “Chinle Formation” allow a fascinating look at the fauna and flora of the late Triassic Period. 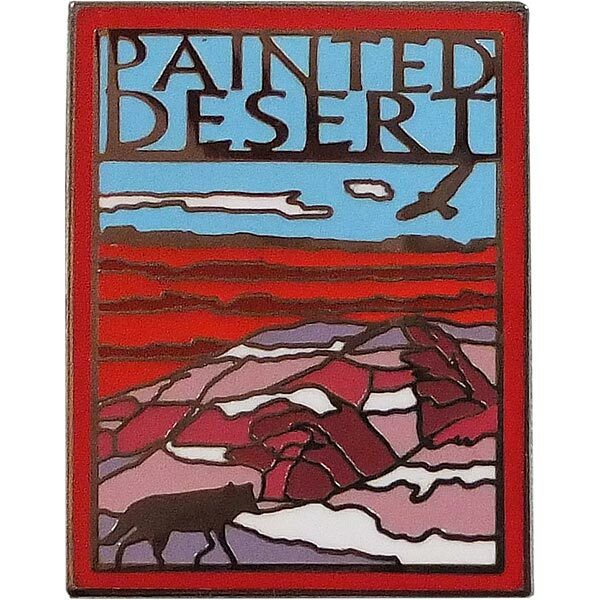 This colorful sediment, also known as the Painted Desert, spans the 28-mile journey through the park. 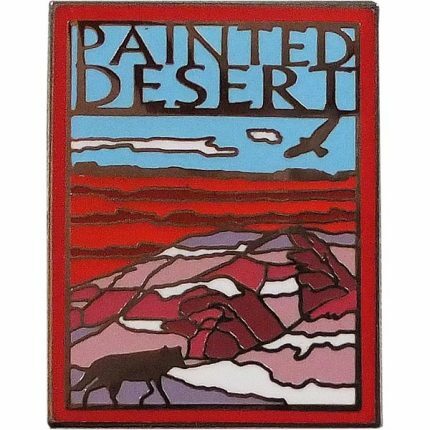 Painted Desert enamel lapel pin measures 1 1/8″ H x 7/8″ W.